Autumn in overtime! 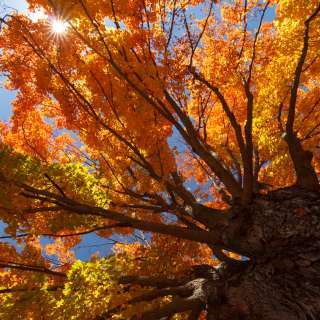 One of the world&apos;s longest fall foliage seasons will get even longer this year. 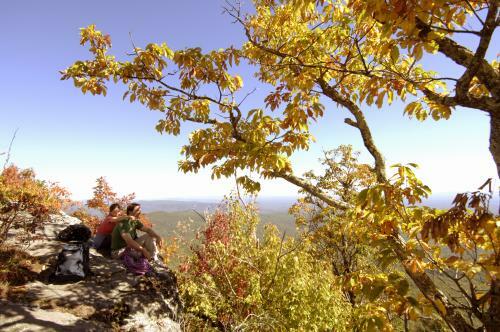 According to biologists and climate scientists, Asheville, North Carolina, and the Blue Ridge Mountains could experience an extended fall leaf season, giving travelers fall vacation opportunities from late September through early November. The extended season is a bonus on what is already the longest fall color season in the world due to extreme elevations and unmatched biodiversity. Here are the Top 10 Things to Do in Asheville in the Fall. According to NOAA Climate Scientist Jake Crouch, the summer of 2016 was the hottest on record for Asheville, with an average temperature of 75.7 degrees Fahrenheit. Precipitation trends included a mixture of wet and dry conditions, bringing the seasonal rainfall total just above normal at 13.57 inches. Dr. Beverly Collins, a biology professor and fall foliage forecaster at Western Carolina University, states that the region’s summer weather did not reach the extreme conditions that could pose a threat to fall leaf colors. Although vibrancy may vary from mountainside to mountainside due to warmer-than-normal weather, her prediction is that the disparity in precipitation amounts from the beginning to end of the summer could be favorable for a longer lasting leaf-change this year. Some trees may respond to drought conditions by slowing photosynthesis and making way for red, orange and yellow pigments earlier than normal, while other species that aren’t as drought sensitive may wait a little longer to begin to turn. “These nuances in the different species combined with elevational ranges create a variation in timing and color, making for a prolonged season,” added Collins. Plan your trip! Nine fantastic fall travel packages. Situated just a short drive from the Blue Ridge Parkway and Great Smoky Mountains National Park, Asheville is a convenient middle-elevation hub for quick access to scenic fall drives and a range of colorful national park adventures. 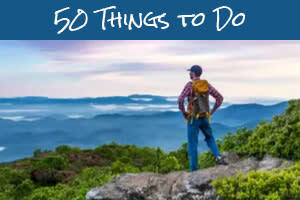 Click here for national parks centennial adventures around Asheville. Elevation extremes across the region produce unparalleled plant diversity and, thus, a broad spectrum of leaf color. The Asheville area is home to more than 100 species of leaf-shedding trees – from maple, cherry and beech on the higher slopes to oak and hickory on the mid-slopes and poplars lower down. See a 3-D flyover illustrating how fall cascades over the region. What Do We Need For a Pop of Fall Color? Crouch added that higher elevations along the Blue Ridge Parkway, where cooler temperatures will be observed, might be the best bet for spotting the most vibrant colors this year. In 2016, leaf-lookers can receive up-to-date peeks at the best fall color in the region through Facebook Live Color Reports on www.Facebook.com/Asheville. 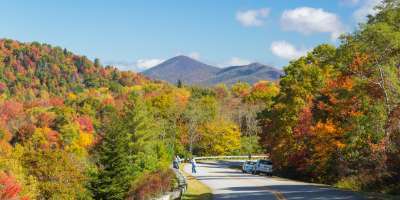 Weekly color reports will gather input from leaf experts, parks and attractions around Western North Carolina to offer travelers tips, deals and excursion ideas where the fall colors are best and brightest. 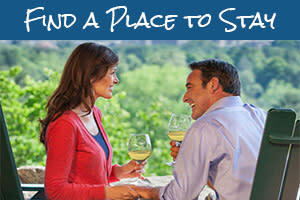 Check rates & availability for your fall travel dates.